It's the middle of May and I'm writing this blog post whilst looking out of the window at the rain. The British summer time has not quite started yet, but that won't stop me from dressing all summery. Summer nights out are the best as you don't have to worry about being cold (most of the time), or taking extra layers with you. 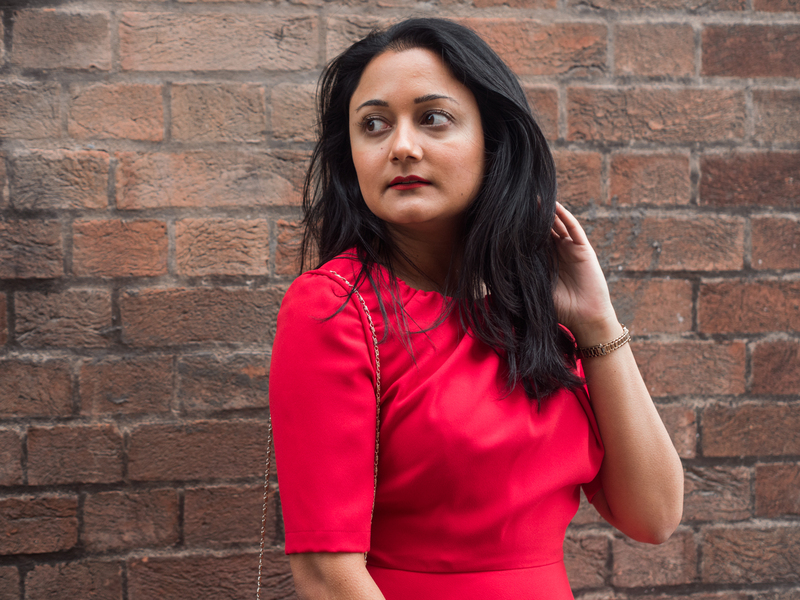 I recently went on a night out with some friends and wanted to share my outfit details to inspire you for your summer evenings out. Summer is the perfect time to start wearing more dresses. I'm a dress person all year round, but wearing dresses without tights and jackets gives me the best feeling during summer! 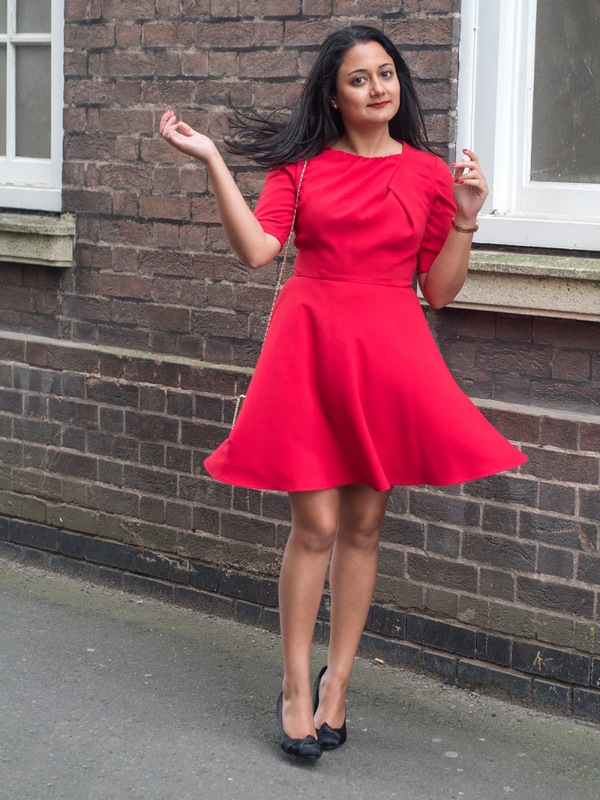 This red dress is from Jaeger and I absolutely love it. The colour is really bright and stands out. The cut of the dress is extremely flattering, with it falling above my knees. I believe in investing in clothing that makes you feel great, and for me this is the perfect evening outfit for the season. 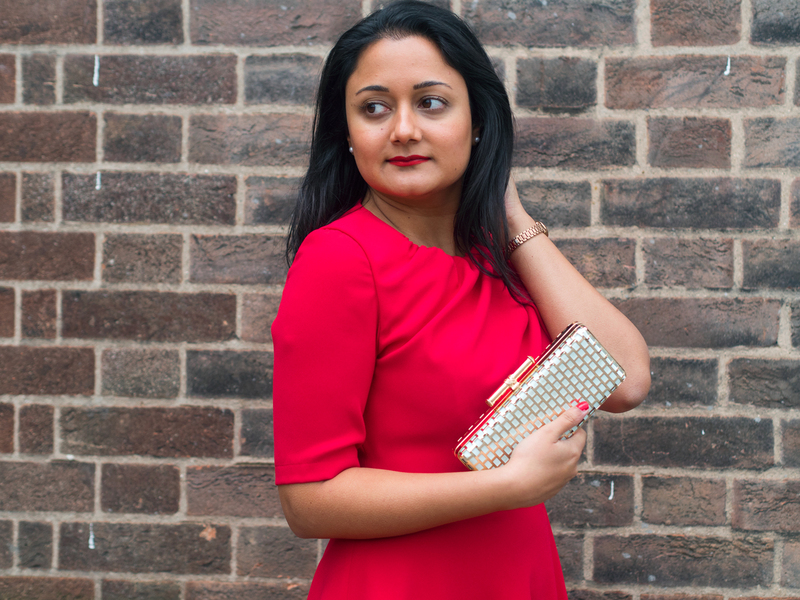 I took with me the trusty gold clutch bag which fits all of my night out essentials. I like the fact that it has a shoulder strap if you want to wear it cross body. The gold and red also pair nicely together, creating a classic and elegant look. For summer nights out, I like to go slightly brighter with my make up. In this look, I'm wearing my Sephora red matte lipstick which is super long lasting. I've kept the rest of my make up neutral, with no eyeshadow and a little mascara. What is your perfect summer evening outfit? Thank you :) I love wearing red dresses!